Oriental Rug Salon is SW Florida based Oriental, wool and silk area rug cleaning business specializing in the hand washing and repair of antique, handmade, machine made and museum quality rugs. We LOVE rugs. Plain and simple! Unlike “production based” rug cleaning plants that wash treasured area rugs using automated pieces of equipment, our craftsman hand washes every rug that enters our plant. From start to finish, your area rug receives personal attention and never leaves our experienced hands. Some in the trade say we’d make more money if we would simply “automate” our process. Our family decided a long time ago to stick with the centuries-old tradition of hand-washing and that’s why we are the “cleaner of choice for many of our areas leading interior designers, rug collectors, floor covering specialists and restoration specialists. We believe impersonal automated equipment is best left to car washes and warehouse assembly lines. There are five important values which distinguish an experienced rug cleaning professional from a carpet cleaning company. Reputation, Experience, Education, Systems, and Guarantee. Oriental Rug Salon has a Reputation that’s second to none. We’ve assembled what we think are the best craftsmen in SW Florida and have empowered them with the best training and cleaning solutions money can buy. The end result of our cleaning or repairs speaks for itself. 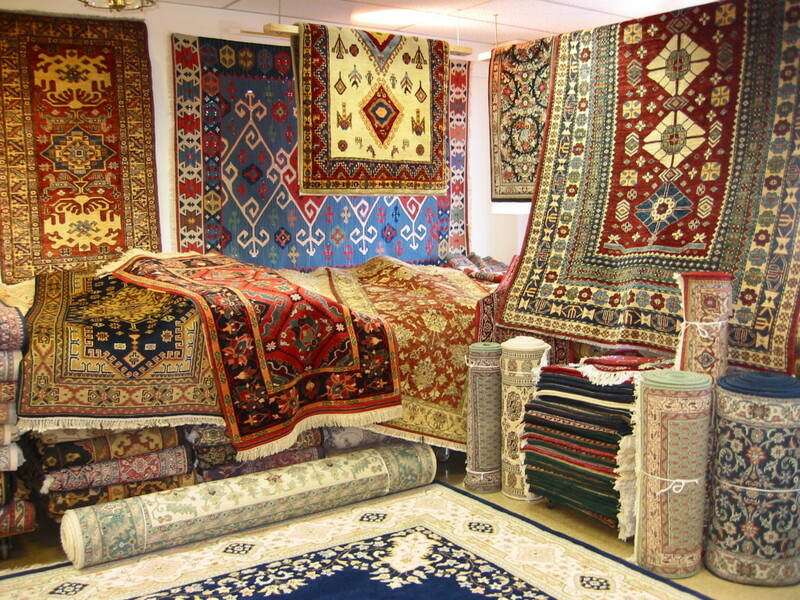 Oriental Rug Salon’s technicians are Experienced in all textile cleaning and repair. From the finest wools and silk hand-knotted textiles to the best machine made and tufted wool and silk rugs, our craftsmen can be relied upon to return your rug to its best condition possible. Because of our dedication to hand-washing all Oriental, wool, and silk area rugs you can rest assured your valued area rugs will receive the deepest clean possible. We have Systems in place that guarantees a level of cleaning unsurpassed. We begin all cleaning projects with a Xenon light inspection followed by a thoroughly exhaustive dusting, submersion cleaning and finally, a pH conditioned rinse, controlled drying, grooming and final inspection. Nothing gets past our inspection process. What makes our services the best in the industry in our Guarantee. Before beginning any cleaning project your area rug is thoroughly inspected so that we can honestly set your expectations as to what the end result of the cleaning or repair will be. If we fail to meet that expectation in any way, there’s no charge. It’s that simple! Through these five values and our hands-on approach to cleaning, we are able to provide our clients with the most thoroughly exhaustive cleaning and service experience possible. What is it that makes Oriental Rug Salon so unique? Unlike carpet cleaning companies who clean everything from dirty mattresses to wall-to-wall carpeting and tile, our only business is the love and care of Oriental, Wool and silk rugs. And unlike carpet cleaning companies we have a real-dedicated rug cleaning plant and experienced-certified craftsmen. All rugs are cleaned in a controlled environment and not on a concrete slab in the back of a carpet cleaning shop or worse yet, in a parking lot. Let’s try to pretend for a moment that experienced technicians using the finest cleaning and spotting solutions doesn’t matter. And let’s just say you could care less if your area rug was cleaned the correct way, in a shop, or if a carpet cleaning company just threw a wand to it; as long as it “appeared” clean and the price was right, you’re ok with it. What separates Oriental Rug Salon from most rug cleaning companies is the quality of the entire experience. From the very moment we speak with you on the telephone or meet you in person to the very end when your treasured area rug is returned fresh and clean. We want to exceed your highest expectations for quality and service. At Oriental Rug Salon we understand if a client is “satisfied” with their experience with our company we’ve failed. Our goal is to ensure that you are absolutely “thrilled” with the quality of your cleaning or area rug repair. We care just as much about your experience as you do. If we are fortunate enough to earn your trust, we promise to deliver a service experience second to none. For our family, rug cleaning and repair isn’t just a business – it’s what we’re passionate about!